Hierarchy management is a core feature in master data management (MDM). When it comes to integrating social data and social network profiles into MDM, hierarchy management will be very important too. The Match2List blog post called Social MDM: a Goldmine or a Minefield? A series of blog posts by Jim Harris on TheDataRoundTable, latest the post Is Social MDM Going the Wrong Way? One way of overcoming the privacy considerations is linking to social data and social network profiles at an aggregate level. Using aggregate level linking is already well known in direct marketing with the use of demographic stereotypes. These stereotypes are based on groups of consumers often defined by their address and/or their age. Combining this knowledge with product master data was examined in the post Customer Product Matrix Management. Social MDM will add new dimensions to this way of using hierarchies in master data and linking the data across multiple channels without the need to uniquely identify a real world person in every aspect. As discussed in the post Business Contact Reference Data social network profiles has lot to offer within mastering business-to-business (B2B) contact data. While access to external reference data at the account level has been around for many years by having available public and commercial (and even open) business directories, the problem of identifying and maintain correct and timely data about the contacts at these accounts has been huge. Integrating with social networks can help here and social networks are actually also integrating more and more with the traditional business directories. LinkedIn has business directory links for larger companies today and lately I noticed a new professional social network called CompanyBook that is based on linking your profile to a (complete) business directory. By the way: The business directory data available in CompanyBook is surprisingly deep, for example revenue data is free for you to grab. When it comes to contact data they are basically maintained out there by you. 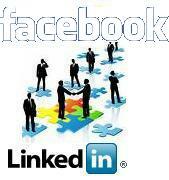 A service like LinkedIn is often described as a recruitment service. In my eyes it is a lot more than that. It is along with similar services a goldmine (within a minefield) for getting MDM within B2B done much better. All of the points you make are very relevant. However, the hierarchy is a restricted (and often misleading) one-to-many data structure. Its misuse is one one of the major causes of replication in databases globally. Most effective real life data structures are actually many-to-many, or networks, rather than hierarchies. Network structures are multi-dimensional. They can also capture change over time and can show the history for the entity at both ends of the relationship. A hierarchy can show you which addresses a party has lived at over time. A network structure can also show you this but it will also show you all parties have lived at these addresses. The Logical Data Model (LDM) is an essential tool in implementing these powerful structures. Effective Social MDM cannot be achieved without the LDM. Thanks for commenting John. Indeed, the structures in the real world are more complex than reflected in most master data hubs. We need better real world aligned data models and in order to embrace all this information within every single enterprise we need to balance the use of internal master data and external reference data. I call this Data Quality 3.0. A very belated thanks for the mention, Henrik! I appreciate the aptness of your description, “a goldmine (within a minefield)”.